With these funds I will... initiate a schoolwide compost system that will divert a great amount of compostable organic material form the landfill. More specifically, we will be build a large six compartment compost bin for leaves and other landscaping detritus, cardboard, and other compostable items. We will also purchase a Green Johanna composting barrel, made in Sweden, that has he ability to liquify bones, meat, cheese, and dairy waste. 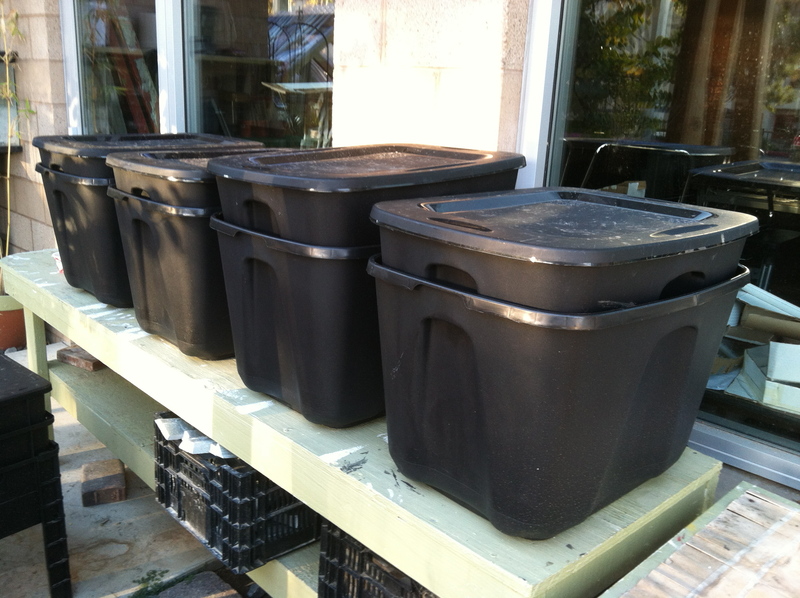 Thirdly, we will both purchase and construct worm bins for use throughout the school. The students will design, construct, and maintain all of these systems. Starting a schoolwide composting program is a great place to start our journey to becoming a zero landfill school. The funds received will be put into action immediately and the students will see an immediate reduction in the amount of waste heading to the landfill. Once our students tackle this problem in our high school then they will be empowered to do the same in the middle school and in the elementary school. If I do not meet my goal I will purchase...materials that will be able to fulfill the needs of one aspect of the project. 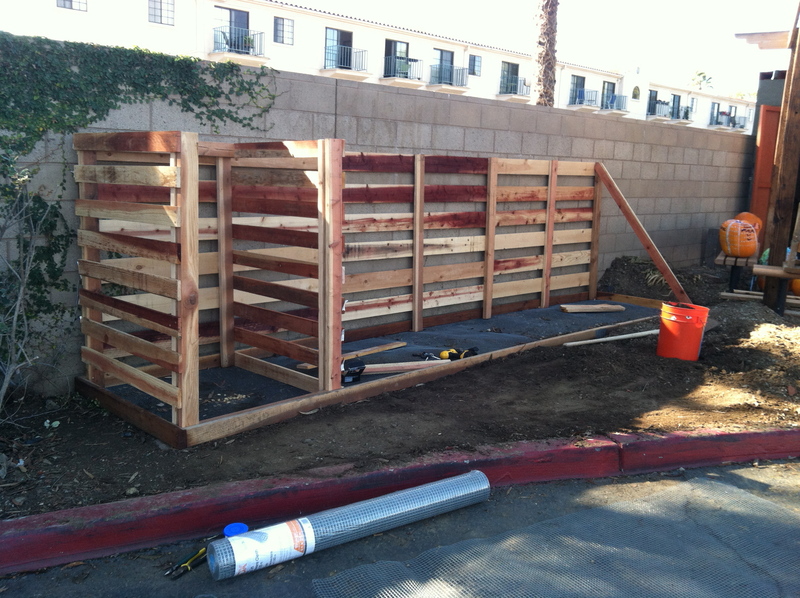 The large compost bin has six separate compartments so that can be easily constructed in stages. The same holds true for the worm bins. Instead of building them all at once we can easily build them one at a time depending on the funding we receive. One great aspect of this project is the ability to divide it up into manageable pieces. Here come the red wrigglers! Our five worm bins are devouring all the natural waste our three classes generate, and then some! A more recent photo of the compost bin. 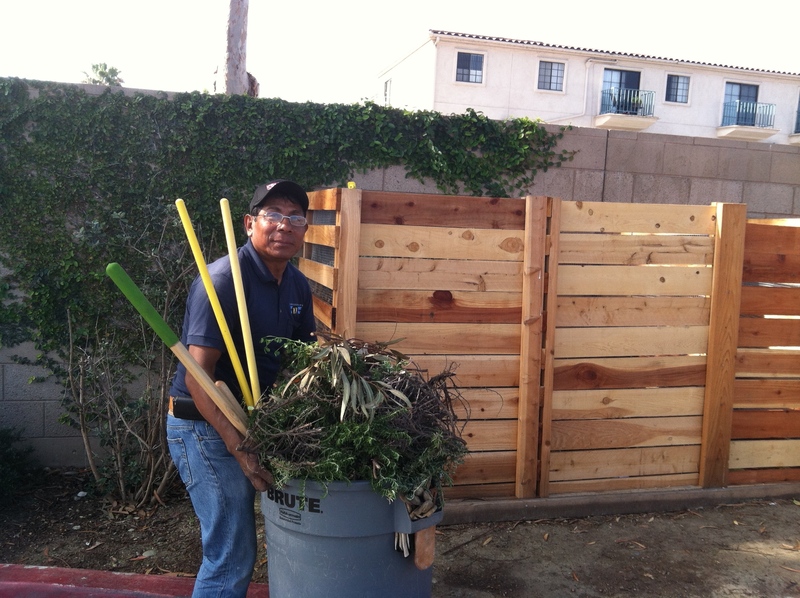 Here is our very own Pasquale NOT putting yard waste in the dumpsters! My convoluted past and great good fortune has somehow led me to HTHNC and I couldn't be happier! Many moons ago I taught in the New York City Public School System in lower Manhattan. More recently I taught at an international high school in San Salvador, El Salvador. In addition to these academic posts I also ran a construction company, owned a coffee shop, owned a corner bar, remodeled an 1860 brownstone in Jersey City, raced bicycles, worked in a foundry, was a pastry chef, baked bagels, was a line cook, worked on a rose farm, tended the bar, waited tables, and washed more than my share of dishes! In between jobs I wandered the globe with a backpack of books. Then I married a rock star and we expatriated ourselves to Central America where we surfed profusely right up until we had three glorious children in rapid succession. A strange chain of events relocated us to San Diego and, as aforementioned, we couldn't be happier! To conclude, I have a passion for science, and life in general, that I want to impart to each and every one of my students. I want to foster a lifelong curiosity for all the intricate beauty and incredible complexity that our humble existences have to offer.